Show the API · Exploring Microservices — Game On! 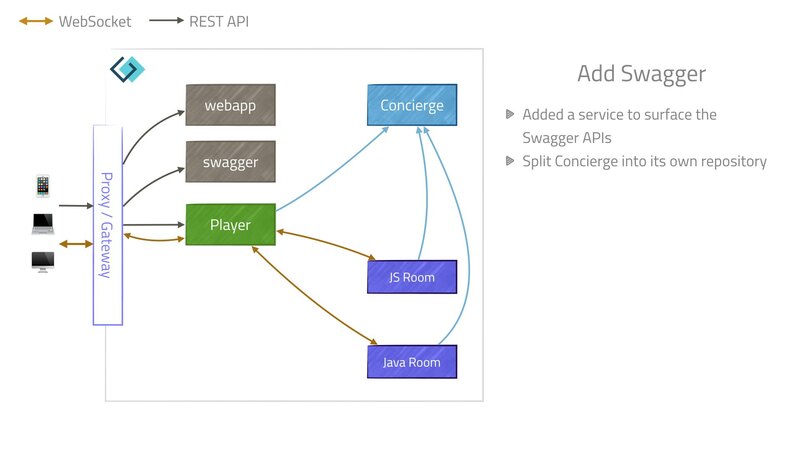 Player and Concierge both have a REST API, and the Swagger container hosts and serves the document that presents both APIs together in one view. The bulk of the traffic flowing around in the game is over WebSockets, and that is difficult for Swagger to document. For those interested in the real low-level details, we wrote down and iterated on the WebSocket protocol in a Box note. The result is documented here.